Alpha Omega is located in the High Desert and we are licensed with the Department of Food and Agriculture as a Grease Transporter and a Collection Site. We always provide documentation of service and inspection for your records. 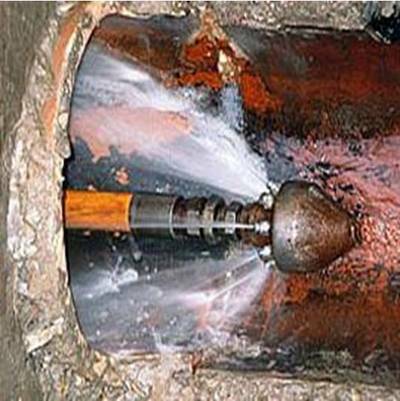 A grease trap or grease interceptor is a receptacle located between the restaurant drain lines and either the municipal sewer system or septic system. It allows for the separation and collection of fats, oils and greases (FOG) from the used water, preventing such materials from entering the municipal sewer system or septic system. 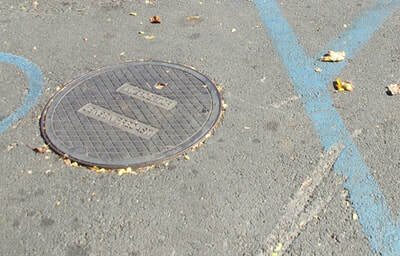 Grease traps slow down the flow of water coming from drains, allowing the water/ grease time to cool. This cooling causes the grease to coagulate and float to the top separating from the water while other, heavier solids, fall to the bottom of the trap. The remaining water is free to pass through on to the city sewer lines or septic system. The grease trap can either be located outside or inside of the establishment. 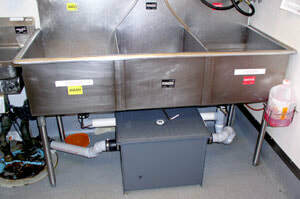 Typically, large restaurants or school kitchens will have their grease trap located outside of the facility, usually in the ground. Facilities with smaller traps can usually house theirs indoors, typically under the sink or wash basin. Fats, grease, and oils easily clog municipal sewer systems and destroy private on-site septic systems, so local governments require commercial kitchens to install a grease trap of varying size depending upon the facility's waste output. Most municipalities will have a minimum amount of fats, oils, and grease they deem acceptable in the water leaving an establishment. If these minimums are exceeded, fines can be imposed. What Does Grease Trap Pumping Include? Alpha Omega trucks carry 200 feet of hose to reach grease traps, though additional hose is available if needed. It is our standard procedure to clean and rinse* both compartments of the tank, as we practice environmentally safe work habits. The customer is informed of any concern regarding the grease trap condition, safety problems, and potential future issues to be aware of. Expose the lid(s) of the grease trap. Pump contents of both the solid and liquid compartments and rinse* with water. Inspect the condition of the grease trap walls, floor, top, and lids for deterioration and ensure that both solid and liquid baffles are in place. Place the lid(s) back on the grease trap. * In order to rinse the trap, water must be available within 50 feet of the work area. ​How Often Should The Grease Trap Be Pumped? In order to determine how often to have the grease trap pumped, consult the governing municipality. Typically, every 60-90 days, they require a receipt in order to prove that the grease trap has been pumped and is not allowing grease into the sewer system. keeps the solid waste inside the trap to a minimum, reducing the possibility of any fats, oils, and grease clogging the lines, and eventually causing system failure. provides the longest possible lifespan of the system, as the trap is inspected and evaluated while pumping. 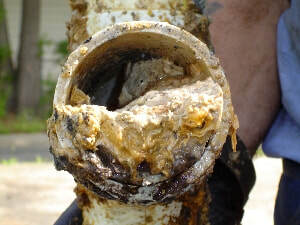 ​Remember, all grease traps will clog if the waste is not removed regularly. Call Alpha Omega to establish a schedule for routine maintenance. When is High Pressure Water-Jetting Service Necessary? Look below.